MORE on evac from University of Texas: U official told Austin @statesman that they "received multiple bomb threats to multiple buildings." Evacuation due to threats on campus immediately evacuate all buildings get as far away from the buildings as possible. More to come. Buildings being checked/cleared. Stay away from buildings. No decision on afternoon classes/activities. Next update at 10:45am. 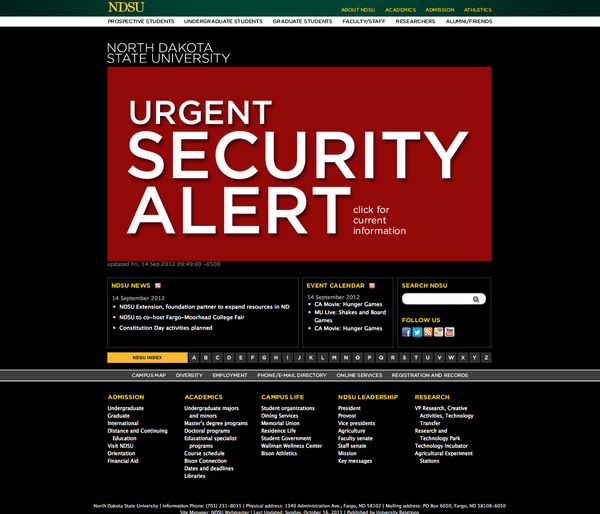 The campus of North Dakota State University in Fargo is being evacuated this morning because of a bomb threat. An emergency message sent out to students and posted on the university’s website this morning ordered all students and employees to leave campus by 10:15 am. NDSU is requiring all employees and students to leave campus by 10:15 a.m. This includes residence hall students, who, if necessary, should walk to locations off campus. This also includes the downtown buildings and agricultural facilities. 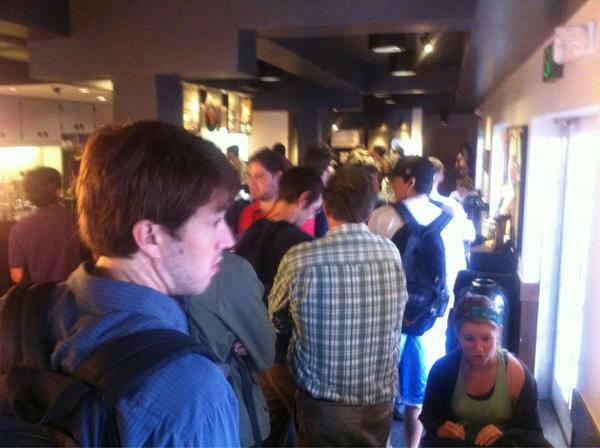 NDSU campus was to be evacuated by 1015 central but a reader saying there are still a lot of people trying to get out. 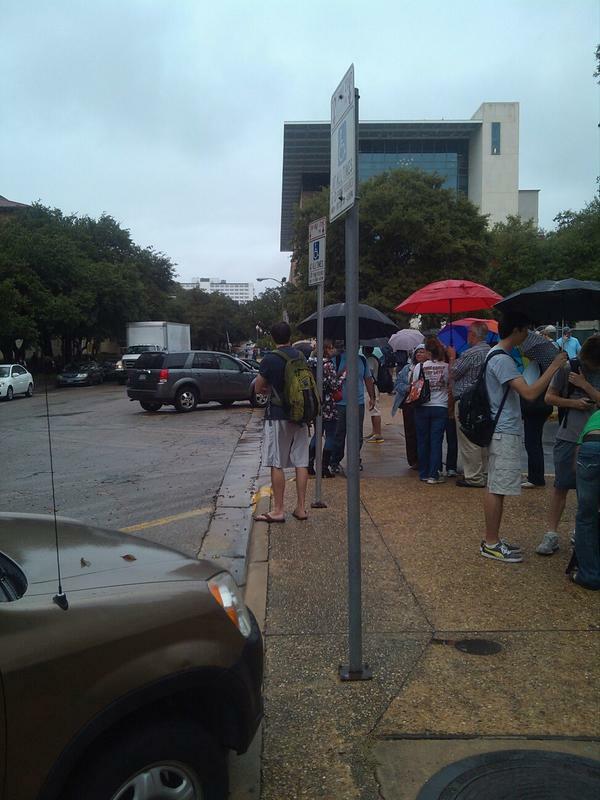 Buildings at UT Austin are being checked and cleared. UT EMERGENCY UPDATE: continue to stay outside buildings, they are being checked and cleared. Next update will follow shortly. At #UTAustin for evacuation now, hundreds of students, faculty staff seen standing on corners awaiting when they can return. 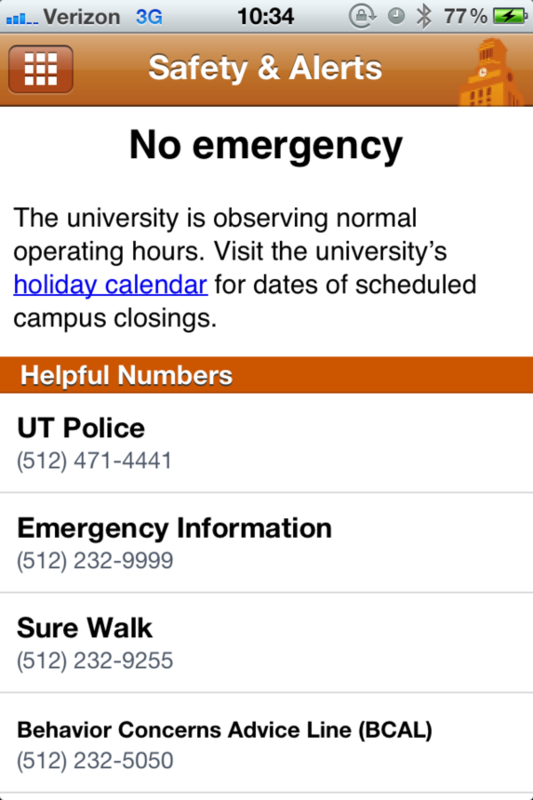 Does the UT Austin mobile phone app need some updating for emergency situations? Hyde Park Baptist Schools in Austin are now in lock down. “Hyde Park Baptist Schools are currently in lock down, until further notice. All students and staff are in proper places and safe. The Statesman reports that no reason has been given. The time of detonation given by the person who called in the UT Austin bomb threat has passed, but officials are continuing to check the buildings. Wow, also an "unspecified threat to campus" at #Valparaiso University in #Indiana during "chapel break" time, around 11:15 AM Central. Valparaiso University has posted a campus alert about potential danger during chapel break period, which happens at 11:15 Friday. The alert, posted early Friday, says “an unspecific threat to campus was made through a graffiti message alluding to dangerous and criminal activity alleged to be carried out during the chapel break period on Friday. “The broad threat provided no details with respect to location or type. The campus is not being evacuated as authorities investigate. 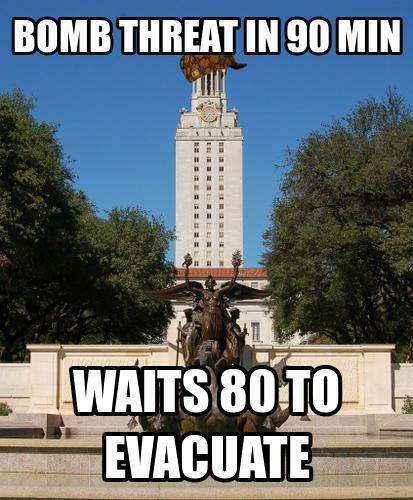 UTexas-Austin will remain closed through afternoon after series of threats claimed #alQaeda planted bombs across campus. 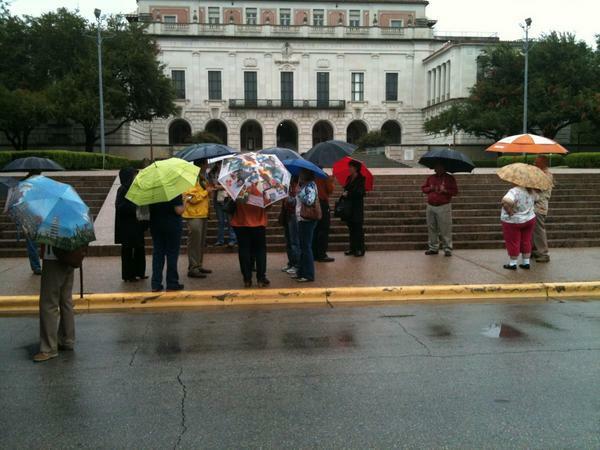 The LBJ Library & Museum is closed for the remainder of the day as a result of the bomb threat @UTAustin. Classes at UT Austin have been canceled for the remainder of the day. All activities except classes will resume at 5 p.m. Buildings may be reentered at noon. Today's classes are cancelled. Some students are less than pleased with the school’s response to the threat. Bomb threat was made at 8:35 and it was supposedly set to go off in 90mins but yet UT didn't tell us to evacuate until 9:50 ? cool. Twitchy will monitor the situation and update with breaking developments. Pres. Powers: We had a threat of explosives of campus. This threat was given for later in the morning. We thought prudent to clear bldgs. #UT Pres Powers clarifies that it wasn't a campus-wide evacuation. The goal was to get students out of buildings. Pres. Powers: We are confident working with our officials, city, state and federal that we are able to resume operations. Pres. Powers: We are confident that campus is safe. This was a joint effort and blessed with local, state, federal officials help.
.@UTAustin President Bill Powers: "We're extremely confident that the campus is safe. We are allowing people to go back into buildings." Bill Powers says UT has been working with local, state, federal officials on the call. Caller hasn't been ID'd or detained to his knowledge. UT president: delay in text following threat was so officials could assess threat. 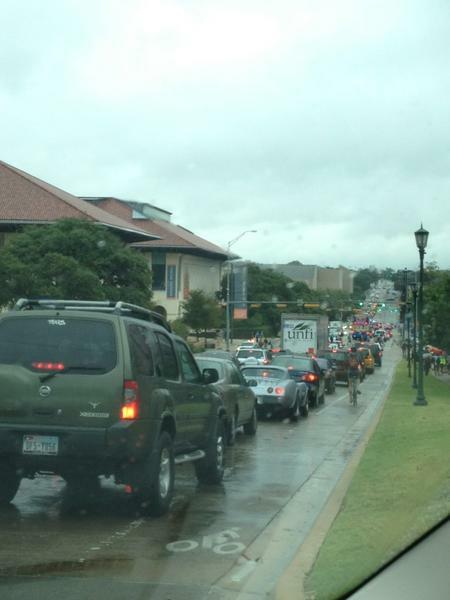 UT prez says 75 minute delay on evac order was to have time to evaluate threat. That left 15 minutes for many thousands to evacuate. UT Police Chief: Threat was given for several buildings. Started working with several agencies on phone number and began working.